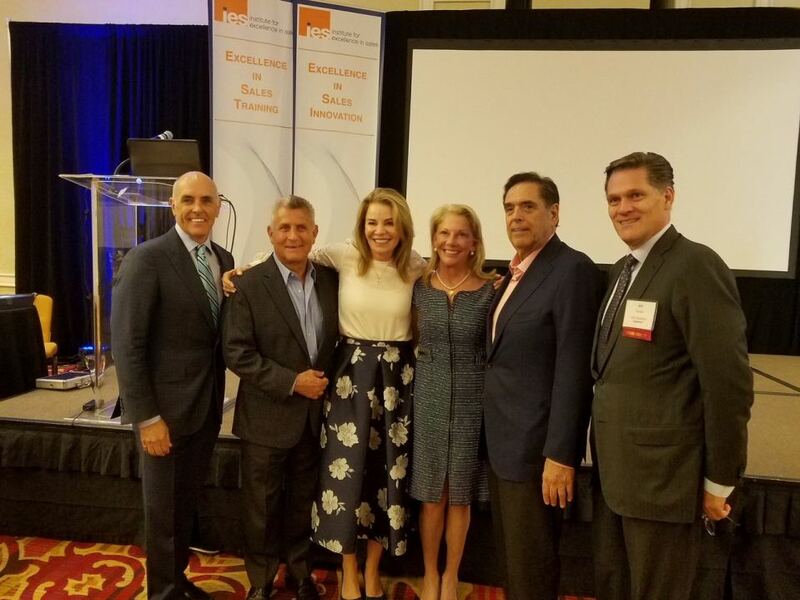 MCLEAN, Va. - June 26, 2018 - PRLog -- The Institute for Excellence in Sales (IES) announced today the five winners of the organization's 2018 Sales Excellence Awards. The eighth annual award ceremony recognized sales teams for organizational sales and business development operational excellence across five different categories. Referred to as the "Oscars" for sales teams, over 300 sales and business leaders attended the event, which was held in Falls Church, VA on June 15. WTOP has radically transformed its sales focus from one that has sold the same product for decades and now needed to transform into a different type of solution provider. In 2017, Cvent's Sales Academy on-boarded over 150 external hires in a program focusing on specific job objectives across industry, sales skills, sales process, and product/solution knowledge. T. Rowe Price rolled out a unified sales process aligned around their client's buying processes, job aids/ sales tools designed for each of their business units, and a common management and coaching system. Carahsoft and their partner VMware worked directly with USDA's contracting office to expand the USDA's VMware Cloud Provider Program (VCPP). The VCPP has helped USDA accelerate the transition to a cloud computing approach while preserving USDA's existing investments while improving security and control. Learning Tree teamed with the Virginia Economic Development Partnership (VEDP) to provide Brazil's largest private institution of professional and technological education in Latin America – SENAI – with IT and management training solutions to the fast-growing Brazilian tech and business markets. "We are honored to recognize the 2018 sales excellence winners who have demonstrated operational and programmatic excellence across the sales lifecycle," said Fred Diamond, President and Co-Founder of the IES. "The winners represent a diverse array of industries while exhibiting world-class sales expertise that provided great value to their customers." The eighth annual Lifetime Achievement Award was awarded to Teresa Carlson, Vice President, Amazon Web Services Worldwide Public Sector. Paul Smith, Red Hat Public Sector Vice President and the 2017 IES Lifetime Achievement Winner, and Gen. Keith Alexander (Ret. ), now CEO of IronNet Cybersecurity, presented the award to Ms. Carlson. Additionally, the second annual IES Women in Sales Leadership Award was presented to Keri Shull, President of the Keri Shull Team. Deltek Sales Vice President Mary Beth Cockerham presented the award to Ms. Shull. "We were honored to present our Lifetime Achievement Award to Teresa Carlson and our Women in Sales leadership award to Keri Shull," said Diamond. "Both are very accomplished sales leaders with a tremendous history of success in bringing value to their customers." Congressman Donald Beyer honored Ms. Carlson and Ms. Shull, as well as sales consultant and 2018 IES Member of the Year Gina Stracuzzi, with a Congressional Record. Winners were selected from a large pool of nominees by an independent panel of expert judges for their commitment to excellence in five sales and business development categories. World-renowned sales expert Bill Cates provided the keynote address during the ceremony. A portion of the proceeds from the event will be donated to the Northern Virginia Family Service (NVFS). The IES provides a wealth of services to sales leaders and their teams at companies large and small throughout the Mid-Atlantic region and across the U.S. It is an unbiased and trusted partner for the delivery of sales programs, speakers, training, services and products. Contact the IES at www.i4esbd.org. A complete list of upcoming IES programs can be found here (https://i4esbd.com/programs/ies-2018-program-year/).